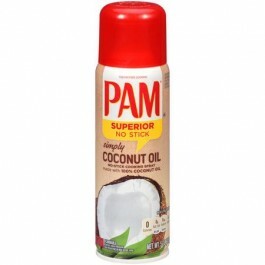 Pam Simply Coconut Oil No-Stick Cooking Spray. Coconut Oil*, Lecithin from Soybeans (Non-Stick Agent). Contains Soy. Also Contains Propellant to Dispense Spray.